Continuing care retirement communities (CCRCs) provide a full range of services and care based on what each resident’s needs over time. 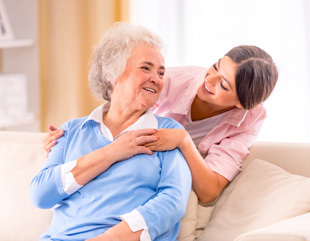 Care usually is provided in one of three main stages: independent living, assisted living, and skilled nursing. Nursing homes offer care to people who cannot be cared for at home or in the community. They provide skilled nursing care, rehabilitation services, meals, activities, help with daily living, and supervision. Many nursing homes also offer temporary or periodic care. This can be instead of hospital care, after hospital care, or to give family or friend caregivers some time off (“respite care”). Your State or local Long Term Care Ombudsman (call the Eldercare Locator,1-800-677-1116, weekdays, 9.00 a.m. to 8.00 p.m. for the number). Ombudsmen visit nursing homes and other long term care facilities to check on and resolve complaints, protect residents’ rights, and give emotional support to lonely older people. A call to your area Ombudsman can give you information on: the most recent State survey (inspection) report of the facility; the number of outstanding complaints; the number and nature of complaints lodged in the last year; and the results of recent complaint investigations. “Nursing Home Compare Web Site”medicare.gov/Nursing/Overview.asp – a Web site created by the Health Care Financing Administration, which runs Medicare and Medicaid. This site helps you locate nursing homes in your area. It also has inspection records for nursing homes that receive Medicare or Medicaid funds. Social workers (some can be “case managers” or “care managers,” who can help you coordinate long term care services). The first question to ask yourself when trying to decide what type of services are needed for you or for your loved ones is “what kind of services do I need?”. To help find out what kind of services you or a loved one need, check the items below that apply. Keep in mind that these needs may change over time. Private Insurance. If you need long term care now, it is probably too late to be purchasing long term care insurance. 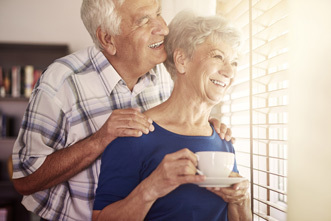 In eight out of 10 couples aged 65 and older, at least one spouse will enter a nursing home (AHIP,“A Guide to Long Term Care Insurance”, 2012). So, if it is not too late, you should be seriously considering long term care insurance. Insurance companies are becoming more and more aware of the growing need for long term care. 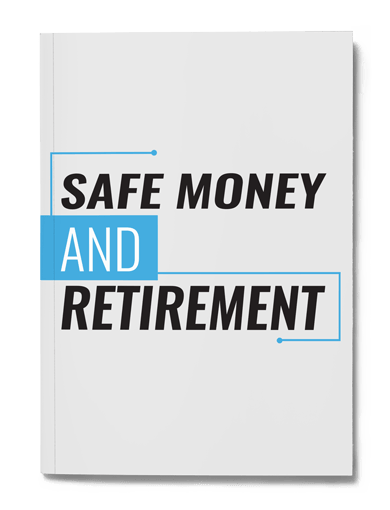 Most insurance companies today offer long term care insurance policies. These policies may cover services such as care at home, in adult day care, in assisted living facilities, and in nursing homes. But plans vary widely. If you have such a policy, ask your insurer what it covers. If you think you may need long term care insurance, start shopping while you are relatively young and healthy, and shop carefully. Other Resources to Find Help. Your State Health Insurance Program (SHIP) can give you general information about Medicare, Medicaid, managed care plans, and the types of health insurance that can supplement Medicare, including Medigap and long term care insurance. Counselors also can help you with questions about your medical bills, insurance claims, and related matters. These services are free. To find the phone number of the SHIP office in your State, call the Medicare Hotline at 1-800-633-4227. Or, look at the consumer website for Medicare services, www.medicare.gov. The third question to ask yourself is “How do I find and choose the Best Quality Services and Facilities?” Here are some tips for choosing the kinds of long term care people most often use: home care (including home health care) and nursing homes. Compare the inspection records of your top choices by visiting the “Nursing Home Compare” Web site:http://www.medicare.gov/nursinghomecompare/search.html. If you can not access the link above, call Medicare Hotline at 1-800-633-4227 to obtain the information you need.